I should have been done. When I signed up for the 2011 Chicago Marathon – my first full marathon – I did so fully intending to take a well-deserved break afterward. I wasn’t going to stop running completely, but I was ready to hop off the marathon training-go-round after eight months of speed work, long runs, hill workouts and even longer runs. I was excited for the race, and excited for the rest. Then I had a Chicago-style meltdown, finishing the marathon more than an hour slower than my goal, and my plan changed. Before the race, I wasn’t sure if I would run another marathon. Immediately after the race, I swore up and down that I would never run another #@*$! marathon again. A week later, I was online looking for a winter race that fit my schedule, understanding Chicago would forever haunt me if I didn’t give myself a chance at redemption. 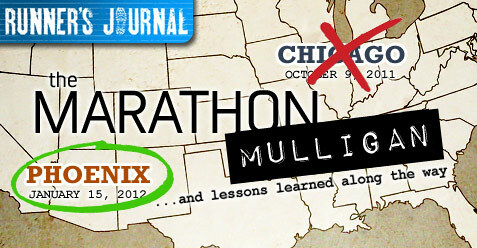 I settled on the Arizona Rock ‘n’ Roll Marathon, strapped on my running shoes and reluctantly started training again. When I cross the finish line in Phoenix Sunday morning (hopefully in 3:30 or faster), I will have finished two marathons within three months of each other. It’s a bit unbelievable considering how intimidating the thought of running 26.2 miles seemed to me at this time last year, but things get even crazier. 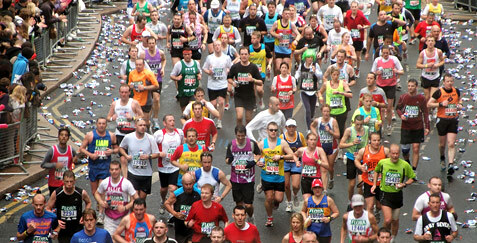 I learned just before Christmas that I’ve been accepted onto the press tour for the 2012 Tokyo Marathon. 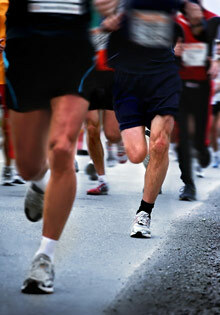 One catch: Writers on the tour are required to run the race. I knew it would be a challenge to run another marathon a mere six weeks after Arizona – and still only four months after Chicago – but that’s not an opportunity you pass up. That’s what my brain said, anyway; my body was already begging for mercy. 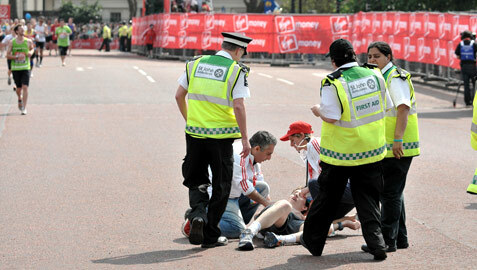 Of course, I won’t be the first guy to run two marathons in six weeks. In fact, there are tons of runners who have run multiple marathons and/or ultramarathons in back-to-back-to-back-(-to-back-to-back…) weekends. I call those kinds of runners freaking nuts. Or maybe inspirational. Probably a little of both, come to think of it. I’m not of that caliber, however, so I’m more than a little…curious…to see how I pull this one off. As I prepare for the start of my marathon double-header in Phoenix this weekend, I took the time to go through some of the lessons I’ve learned thus far in my training. Some of these are things I already knew but were driven home during the hundreds of miles of falling footsteps over the past year, while others were new lessons that cropped up along the way. I plan on adding to this list after the Tokyo Marathon, but for now, here are five I’ll take with me to the starting line this weekend. Nothing new on race day. I figured I’d start with the most important lesson since I had to learn it the hard way. I’d heard this “rule” many times before but thought it was more a case of playing it safe than anything else. How much could a different type of food or sports drink really affect you on race day? I never much worried about small details like that and I didn’t want to start micromanaging now. Then I had to take Tylenol with codeine to help me sleep through my shoulder injury during the week leading up to the Chicago Marathon, which I later learned led to my disastrous finish (codeine is known to cause dehydration and electrolyte imbalance). Prior to each of my first two half marathons, I had a Peanut Butter Crunch Clif Bar for some added pre-race nutrition even though I’d never before eaten one, prior to a race or otherwise. It took me several months to realize the Clif Bar was the source of my severe stomach discomfort after both races, a situation I (thankfully) haven’t had to replay since eliminating Clif Bars from my routine. A friend asked me about a month ago if she should try running her half marathon that weekend in compression tights. She had used compression socks after a race but had never run in any sort of compression equipment. My advice: nothing new on race day. I said it probably wouldn’t hurt her to run in the compression tights but I strongly recommended that she not test that theory during a 13-mile race. You never know how your body will react to any sort of change to your routine, and the worst possible time to experiment is on race day. If you’re trying a new type of energy gel or sports drink, breaking in some new equipment, or anything of the sort, do yourself a favor and first test it on a training run. Race day is crazy enough without throwing a bunch of unknown variables into the pot. You only have so much control. I was healthy, confident and excited leading into the Chicago Marathon, then a freak injury to a nerve in my shoulder wrecked everything. No matter how methodically you set up your training routine, how devoutly you stick to your plan, or how great you feel during your training, some things are simply out of your control. You may roll your ankle or come down with a nasty cold a week before your race. Oh well. The only thing you can do at that point is determine whether or not you can still run, and then do your best under the circumstances. That’s precisely what I did for Chicago, and what I did in Cleveland when dealing with a knee injury (see below). I’m about as healthy as I could hope for heading into Phoenix, and I’m just hoping I stay that way for a few more days. And then six more weeks after that. Run, then race. I went into the Cleveland Half Marathon last May with a mysterious knee injury that had me wondering if I’d even be able to finish. My training leading into the race had been erratic because of the injury, so I decided to run the first 10 miles at a relaxed pace in hopes of having enough left in the tank to finish strong. This time, the plan worked to perfection. I came through each mile at a steady 7:15 pace and after I passed the 10-mile mark, I found another gear and cruised to a PR of 1:32:51. In hindsight, I probably could have taken off a little sooner but I chose to play it conservatively and was obviously thrilled with the results. By taking the time to settle in early, I gave myself an opportunity to truly race the final quarter. The opposite approach, of course, is to go out too aggressively, face plant around the midway point and then drag your sorry carcass across the finish line. I did that in Virginia Beach a couple months later. I’ll be following Plan A this weekend. My form is a work in progress. My high school coach told me once that I had the best form on our team. I took that to mean I didn’t need to improve in that area. Wrong. After reading (and loving) the book “Born to Run,” I picked up a pair of Saucony Kinvara (a lightweight, minimalist-type shoe with a low heel-toe drop) and began shortening my stride, quickening my turnover rate and focusing on hitting the ground with my midfoot rather than my heel. My knee almost immediately felt better. While doing a track workout with a neighbor a couple months ago, he mentioned that I should try dropping my arms a bit to help my breathing and loosen me up. Now my shoulders aren’t nearly as tight after a run as they used to be. I still catch myself striding too far or lifting my arms during runs, but I just readjust and instantly feel the benefits of my improved form. It takes a lot of research and field work to find what’s best for you, but Runner’s World is a great place to start. I love owning a treadmill. This last one seems a little strange coming on the heels of my last post about winter running, but as a work-from-home father of three, having a reliable treadmill in my basement has been a godsend. I still try to get outside as often as possible, but I’m no longer hamstrung by poor weather conditions or other people’s schedules. Sure, it’s boring, but Netflix has been a fine running partner for me since buying our NordicTrack C900 last month, and while it will surely collect a bit of dust in the spring, summer and fall, I’ll run it ragged every winter. Using a treadmill at your local gym also works, but it’s not nearly as convenient as having one at home. Even better, I’ve done two 10-mile runs on my C900 and am pretty confident I could tack a few more miles on in a pinch. Be sure to check back next week for my recap of the Arizona Rock ‘n’ Roll Marathon, and in February I’ll kick off my Tokyo Marathon coverage as I learn just how well my body can handle two marathons in six weeks! Bullz-Eye.com editor in chief Jamey Codding ran competitively in high school, took a brief 15-year breather, and then came back to run four half marathons and a full marathon in one calendar year. Read all of his Runner’s Journal posts, including his Chicago Marathon recap, and learn why he runs.